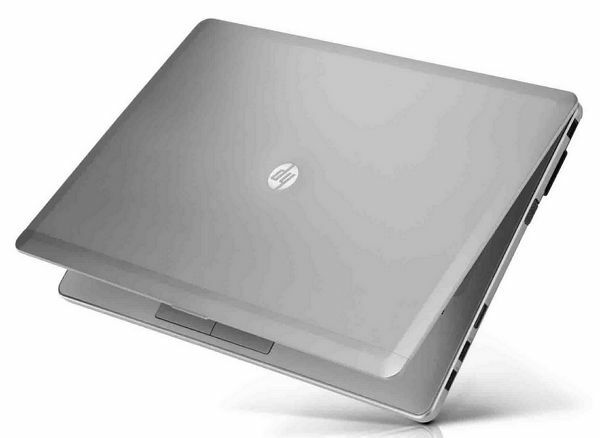 HP is refreshing it’s first entry into the Ultrabook space, the Folio 13, with the business oriented EliteBook Folio 9470m. 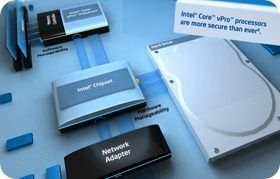 This is a business focused machine which HP has brought up to speed with a third-generation Ivy Bridge processor a larger screen, a removable battery, docking connector, secondary-battery port, and more. It has been 3 working days since I started my self-initiated challenge to have my Iconia A500 replace my HP 2730p at work. It took the first day to get it set up and configured, and a second day that I was out sick to really solidify how I was going to run the Acer for the foreseeable future. In that time, I have downloaded and applied the step up to Android 3.1 (the Iconia came stock with 3.0). I have also tested several functions of the various ports. I thought it would be a good time to give a brief synopsis of the story so far. Please note that some of the Carrypad crew have performed these tests in the past, so this is a refresher and a specific update as to how it all appears to be working under Android 3.1. Some of the notes will also reflect my specific perspective from attempting to use the A500 in the enterprise space. Homescreens and Calendar: I run fewer apps on the Iconia than I normally do on an Android device. While I use only one homescreen on my iPad, with all apps sorted into folders, and run almost all Widgets on Android homescreens, I have gone back to the function-specific homescreen paradigm on the Iconia. My main page has all of my productivity apps, the Advanced Task Killer widget, and my Calendar widget, which I have sized to its maximum size. I originally thought I would not use the “Iconia Tab” default account that comes already set up in calendar. But because I want to limit the amount of cloud syncing that occurs on this device, I have used this account to enter my daily work meetings. I then keep the calendar view suppressed to only the Iconia Tab account during the work-day, so I am not distracted by future Google appointments from my main account that is also synced with the device. I keep one homepage for nothing but stickies and Whiteboard Pro tiles. The left-most homescreen has buttons for my weather apps and the Browser widget. These are so I can check weather before my commute home or on travel, and to quickly check tech news over my lunch break. The right-hand homescreen has any media apps that I use to assist me at work: Camera (for taking snaps of whiteboard exercises), Gallery (for viewing those snaps), Music (to work to), Recorder and Voice Recorder (for taking voice memos for myself). This screen also has MailDroid and GMail for checking personal mail over lunch. The right-most homescreen has all of my admin utilities. ES File Explorer, the Android Market, JuicePlotter, Battery Dr, and Settings shortcuts for Bluetooth, Display Settings, Sound, and Wi-Fi. I primarily run this device disconnected at work. I boot my hotspot upon arrival, again over lunch, and maybe right before leaving in the evening for a quick connection, minimal sync, and personal email check. Other than that, I keep Wi-Fi off. Physical Set-Up in the Office: I use a CaseCrown Wood Tablet Stand on my desk to place the Iconia in the corner where my two desks join at a right- angle. 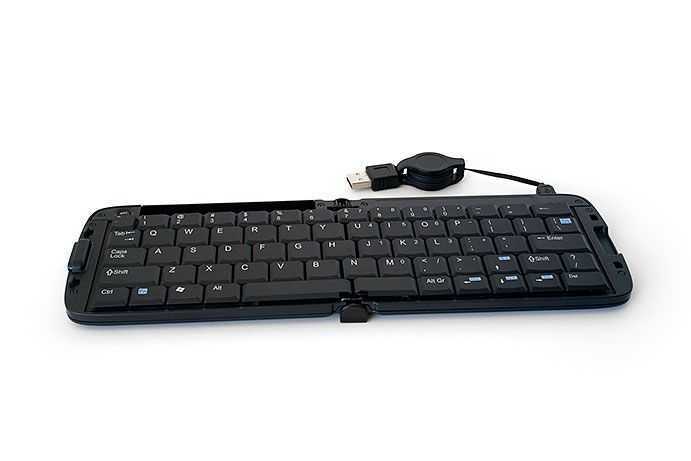 While I plan on rotating keyboards and mice, this week I have been using my Microsoft Bluetooth Keyboard 6000 and a generic USB laptop mouse, plugged in to a CP Technologies 4-port USB 2.0 Hub. I have been using the Targus Capacitive stylus along with it. Port Testing and Peripherals: While not all of this has an impact on my use of the Iconia A500 at work, I wanted to note the results of various hook ups I have attempted during initial setup. Keyboards and mice: I have tried several USB keyboards and mice with the Iconia and each one has worked. I have used a TabletKiosk Foldable Keyboard (pictured below), and an i-Rocks keyboard successfully. I have used several mice, including a Logitech G5 and they have all worked. I only tried using the left and right mouse keys, and have not tried the scroll-wheel button or the forward and back buttons. The scroll wheel itself does work in most apps to scroll through the page. I plugged my HP HDMI-to-VGA adapter that I use with my HP Voodo Envy 14 (yes, I still insist on calling it a Voodoo) into the mini-HDMI to male-HDMI adapater that I received today from Amazon. Amazingly, it actually worked. This means being able to use the Iconia, and likely any Honeycomb Tablet that has HDMI out, with VGA monitors if, say, that is all your job provides. I plan on trying this hookup out with the Motorola Xoom 3G to see if I get the same results. I also have a straight mini-HDMI to full-HDMI cable that I need to try out with my 23″ Acer monitor later this week. Pics of the hook-up are below (not great pics; apparently my Samsung Nexus S 4G does not do so well in low light). If you replicate this hook up, you will need to use headphones or speakers plugged into the headphone jack for sound, as audio-over-HDMI will not work through the adapter. I do not expect that I will run with this configuration very frequently. The combination of the HP adapter + VGA cable is heavier than the tablet itself, and I did not like the strain I saw being placed on the mini-HDMI-to-male-HDMI connector. My VGA cable at work is much lighter though, so using this setup there might be less of an issue. I am out of time for tonight, so that will have to be a wrap. Stay tuned for the next update, which will include a discussion on what productivity apps I am employing, inking on the A500, whether or not it is fast enough for meetings, and whether is physical characteristics make it good or bad for office use.